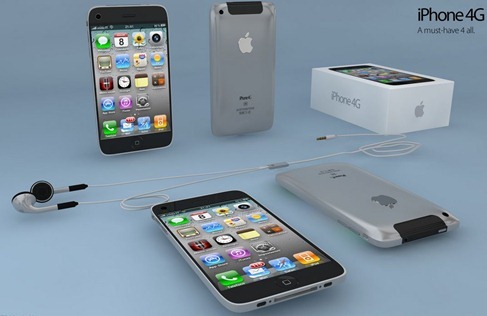 Designer Anthony De Rosa of ADR Studio has come up with a very new, and different looking concept prototype of the next generation iPhone 4/HD, running the newly announced iPhone OS 4. The designer explains his vision as follows. It’s almost sure the Apple approach to the new iPhone will be as expected (or feared). Same form factor, to avoid nasty surprises for accessories. No moving parts, the phone is not a “transformer”. No MagSafe, LED or other crazy ideas. Maybe we’ve a dual cameras, but without flash. iPhone isn’t a photocamera. Then it might look as the just-arrived iPad and will be the ideal cradle for the new iPhone OS 4.0. We’ve an upgraded hardware, to appreciate the potential of multitasking, a 5Mpx camera, larger and brighter screen, new CPU derived by the A4. The rest of all will do by “the apple” on the back of the shell. After all is an Apple device. And here is the video of the prototype in action. Complete screenshots gallery can be found here. Now lets wait and see what Steve Jobs and Co. will have up their sleeves come this June at WWDC 2010, where Apple is expected to announce their next iPhone. 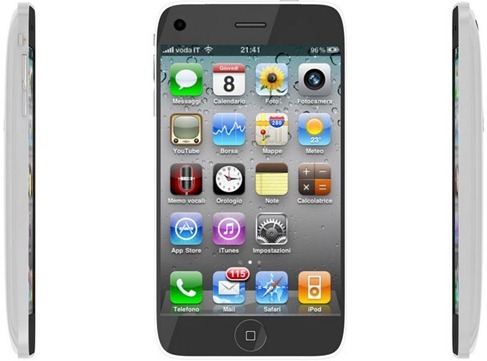 I thought the iPhone 4G was supposed to have MicroUSB……..
We Love the Design. There are difference between the HD version one and this one.